On April 16, the Ottawa Board of Trade and Ottawa Business Journal will host its Local Breakfast Series event with The Ottawa Sports and Entertainment Group, at TD Place. 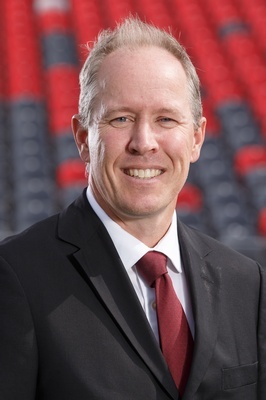 Mark Goudie, President and CEO, Ottawa Sports and Entertainment Group, will discuss the past 5 years of OSEG history; weaving itself into Ottawa's vibrant culture by bridging the city's Heritage and History with a progressive and unparalleled Entertainment experience for people of all ages. While sharing notable achievements with the city such as; the 104th Grey Cup, the 67's 50th Anniversary, creating the OSEG Foundation, the NHL 100 Classic Game, FIFA Women's World Cup and more. Themed around the horizon of what's ahead Mark will share his view on what lies ahead for Lansdowne, TD Place and OSEG. Mark Goudie is a corporate enabler. Over his 30-year career, Mark has enabled companies to grow and prosper by raising well over one billion dollars in financing and implementing best practices across departments and lines of business. He has advised, established and let senior management teams in industries such as software, professional services, oil and gas, clean tech, real estate and sports and entertainment. He now leads Ottawa's most exciting sports and entertainment organizations OSEG. In 2013, Mark was approached to join an exciting new venture that was the talk of the town, the transformation of Lansdowne Park into a year-round destination, the establishment of two new professional sports franchises (Ottawa Redblacks and Ottawa Fury FC) and the repatriation of his uncle's team, the Ottawa 67's, to their rightful home at Lansdowne, in the heart of the city. He joined OSEG as Chief Financial Officer, took on the responsibility of Chief Operating Officer and in April 2018 he was appointed President and Chief Executive Officer. Mark now oversees all facets of OSEG's business operations including sports franchises, converts, major events, TD Place and Lansdowne Live Retail district.